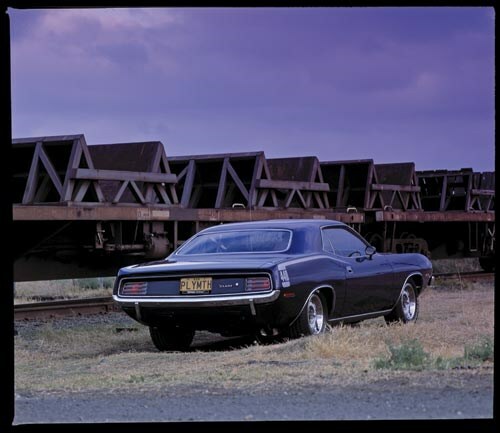 Late in 1969, America's third-ranked car maker released a new line of 'E-Body' cars to be badged as the Dodge Challenger and Plymouth Barracuda. The Plymouth version continued a nameplate that launched two weeks before Mustang in 1964, but the 1970-74 cars were vastly more muscular in appearance and character than earlier Valiant-based Barracudas. 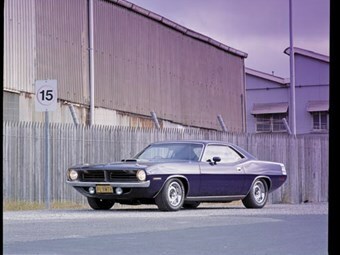 Three versions were built - the base Barracuda, luxury Barracuda Gran Coupe, and V8-only 'Cuda. Engines ranged from a 108kW 3.7-litre six to a 317kW 7.0-litre '426' Hemi V8 and a 7.2-litre '440' V8 with optional triple dual-throat carburettors (the Six-Pack) making 291kW. The 5.6-litre AAR (All American Racing) 'Cuda was available only during the 1970 model year and focused attention on Dan Gurney's team of competition 'Cudas that briefly, and unsuccessfully, contested the Trans-Am race series. Convertible versions were short-lived and sales bordered on dismal. Convertible 'Cudas with Hemi or 440 engines are among the rarest of all US muscle cars, with fewer than 20 of some variations built. Plymouth E-Body cars were smaller and generally cheaper than their Dodge Challenger equivalents. The Barracuda was 50mm shorter in the wheelbase and 120mm overall than the Dodge. Base models were priced from US$2764, or $80 less than the six-cylinder Challenger. The cheapest 5.2-litre V8 was only $2865, or buyers could stump up a paltry $260 and jump into a luxury Gran Coupe V8. The Gran Coupe was a muscle car for the mature driver and its basic price included leather seat trim with combination cloth/vinyl optional, an overhead console and stainless body mouldings. A six-cylinder engine and manual transmission were standard but only 210 were sold in 1970, against almost 8000 cars with V8s. Incredibly, for a vehicle that could weigh 1600kg and reach 225km/h, disc brakes were optional on all except the AAR cars, and air-conditioning wasn't available to Hemi or 440-6 buyers because there simply wasn't any room under the bonnet! A Hemi engine added $871 but there were a variety of 'mandatory options' that pushed the price of a basic Hemi above $4000. Most cars were optioned far beyond that level. 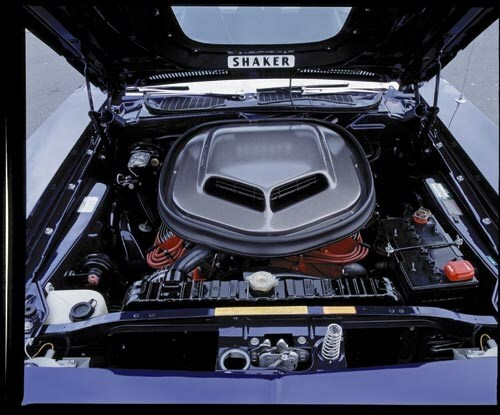 The 'shaker' air intake was a popular addition and was fitted to a variety of V8 'Cudas. Convertible Barracudas of all kinds sold in relatively skinny numbers and the soft-top models were withdrawn after 1971, along with high-po engine options. 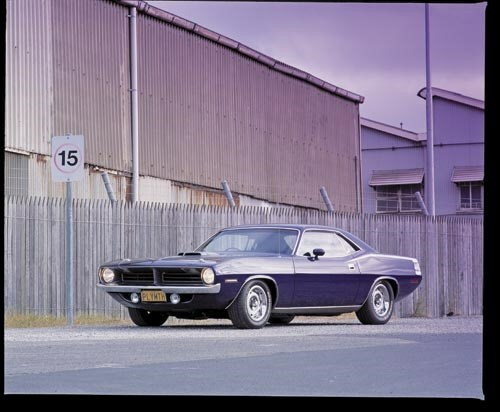 In 1972, poor sales and legislative changes reduced the Barracuda 'range' to 'base' and 'Cuda only, with virtually all the 16,100 cars made having V8s. Styling changed and the shaker was deleted. Front disc brakes - still unassisted - however, became standard. New '5mph impact' bumpers were installed for 1973, the 5.2- and 5.6-litre V8s were the only engine choices, and even these were detuned to run on unleaded. 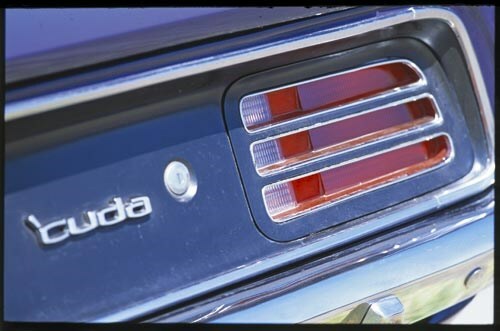 Not surprisingly, annual 'Cuda sales dipped to a paltry 9305 cars during 1973. By 1974, when the model finally died, the Barracuda range had been reduced to a single model, with the most potent engine the 360ci (5.9-litre) 'boat anchor' V8 developing 182kW. Not all Barracudas are brutally powerful or even particularly exciting. Giving the Mustang and Camaro several years' head start didn't mean Mopar equivalents were any better in terms of handling or packaging. The majority used Chrysler's long-serving 5.2-litre (318ci) or 6.3-litre (383ci) V8s and a three-speed auto. In auto form, the 383 cars barely managed sub-nine seconds for 0-60mph (0-97km/h), so for entertaining performance a big-block 440 or 340 manual would be the way to go. While doubtless emptying an oil well en route, a 440-6 'Cuda manual romped through a US magazine's 0-400m run in 13.7 seconds, just half a second faster than the 14.2 laid down by a 340-engined car. The lighter 'Cuda also clocked a very respectable 6.4 seconds in the 0-60 segment. Power steering is uncommon in small-block Barracudas but a very handy accessory in any of the bigger-engined models. Front-end weight bias is extreme and edging out of tight spots becomes a test of upper-body strength. The loads when battling endemic, mid-bend understeer are also considerable and prompted even supportive US testers to routinely criticise the handling of high-powered Barracudas. Special Hurst shifters make manual gear selection in the automatic easy and sometimes essential. In cars with the ability to quickly overheat their brakes, the transmission can be the best means of slowing down. Power brake assist was, again incredibly, an option on most early models but these are unlikely to survive in significant numbers - if at all. Even the big V8-engined cars didn't necessarily come with limited-slip differentials - prices ranged from $42 for the diff only to over $100 if fitted with a 'performance' axle or towing package - and wheelspin can be a problem. Most cars with bigger engines came with 15-inch diameter wheels and some owners fit larger rims with low-profile rubber to improve on the minimal grip offered by standard-sized rubber. Bucket seats will be fitted to the vast majority of cars and look okay, especially in Gran-spec leather. In practice, though, the cushions are flat and there is hardly any lateral bolstering or lower back support. The dashboard is well-equipped with instruments and some cars come with the optional and entertaining 'rim-blow' steering wheel, but 'Cuda interiors are generally pretty Spartan. Front seat occupants enjoy plenty of leg and shoulder room but the back seat is best restricted to kids. Boot space, even in cars with the spacesaver spare tyre, is limited and access quite difficult. Low-build 'Cuda variations rank with the most valuable American cars ever made. Hemi-engined convertibles - of which only 11 were built! - have exceeded US$3million and other versions have ventured into seven-digit territory before recently falling back in a tightening market. Very few 1970s Barracudas came to Australia when new and finding a genuine car with verified history may well involve a flight to the US. Prices for usable cars running 318ci or 383ci engines begin at $10-12,000, with verified 340ci or 383ci automatic 'Cudas in the mid-$20,000s. That number can quickly soar to more than $40,000 if your choice is a manual 340 version, and beyond $100,000 if you chase down a scarce AAR 'Cuda four-speed. Big-block 440 Magnum hardtops in decent condition are available at less than $50,000, but it's easy to double that outlay for an outstanding Six-Pack car. Not all 'Cuda convertibles sell for telephone numbers though. A well-documented 440 Six-Pack automatic recently secured $81,000 at auction and one of the cars specially built for the Nash Bridges television series found a new owner at $88,000. Number checking is vital to ensure a car's authenticity. The correct engine code - the fifth letter in the build number - for a Hemi is R, V for the Six-Pack 440 and J for the Six-Pack 340 model. 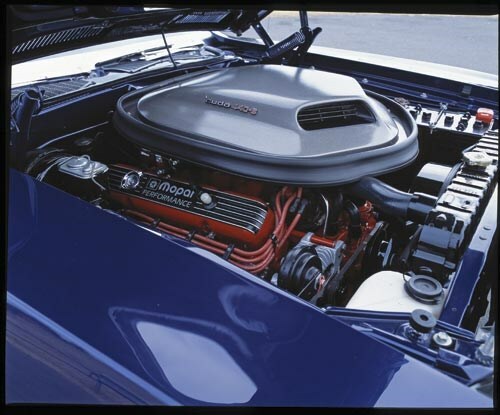 The prefix for 'Cuda hardtops is BS23 but high-performance engines were also available on basic BH prefix cars. Minimal attention to rust proofing and harsh North American winters helped destroy many E-Body cars. Survivors must be carefully checked for structural rust or repairs to the firewall, lower front pillars, rear spring attachment points, floors and under the roof covering on vinyl-roof cars. Body panels are being reproduced. Spacesaver spare tyres need to be tested to ensure they can still be inflated when needed. Rust repair panels are available and specialised items including lights, bumpers and reproduction 'shaker' intakes are available. Repairing a very rusty car will likely involve handmade replacement panels in some places, however rare variations are worth significant money and saving an original shell is often justified. The V8 or six-cylinder engines fitted to these cars are simple and very durable. Heat is the greatest enemy of the large-capacity engines and the cooling system must be maintained in perfect condition. Look for grubby coolant, leaks of any kind around cylinder heads and bloated water hoses. Cars with air-conditioning need specialist inspection for leaks and compliance with current refrigerant requirements. And 98 octane fuel is recommended for any engine with a compression ratio above 10.0:1. Automatic transmissions are very strong but don't last indefinitely, so slurred up-changes and clunks coming down are signs of impending overhaul. A basic design struggling beneath the weight of monster engines means the strong possibility of suspension damage. Look first at inner-edge tyre wear at the front that suggests collapsed suspension bushing and ball joints. Rear springs on powerful versions are 'staggered' with six leaves on the right and five on the left to aid stability under hard acceleration. The springs can become flattened or crack so close inspection is mandatory. Even with front discs, brakes work hard and rotors can wear quickly. Feel the rear drums (carefully) after a few moderate stops to ensure that they are warm and not letting the fronts do all the work. These are pretty basic cars but also built cheaply so look for torn and loose trim, especially door trims and dash rattles. Old electric windows can shudder and even damage their guides. Look at the headlining around the rear window for signs of water leaking around the seal. The doors can drop due to hinge wear and rubber seals can fail. 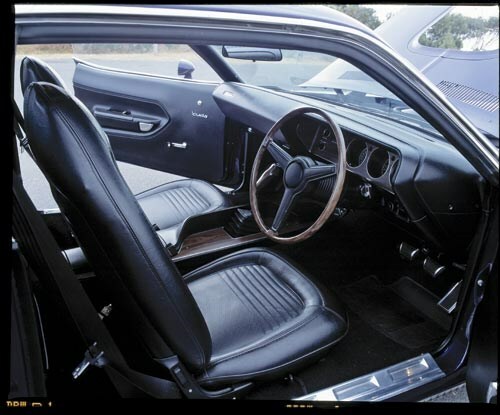 Virtually everything to refurbish a 'Cuda interior is available new or as a reproduction.